Florida Senators Introduce Bill to Bring More Business to Disaster Impacted Areas | Insurance Litigation Group, P.A. 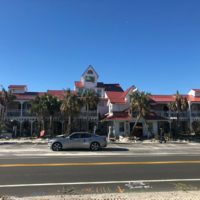 A new bill, introduced by both of Florida’s senators, is aimed to bring new business into the area and would create more opportunity and an economic push in the panhandle. The bill would allow governors to nominate areas affected by the 2018 hurricanes and California wildfires as opportunity zones, encouraging investors to move in. If you are a residential or commercial policyholder or restoration professional involved in a dispute over insurance claims and benefits, call Insurance Litigation Group in Florida at (850) 359-6901 for a free consultation.